Authorities say they have recovered a stolen 18-carat gold bookmark that reportedly belonged to Adolf Hitler. Christian Popescu, a Romanian national, was arrested Tuesday outside a Bellevue Starbucks. Federal prosecutors say he had arranged a clandestine meeting to negotiate the sale of the bookmark, which was stolen before it was to be auctioned in Spain six years ago. 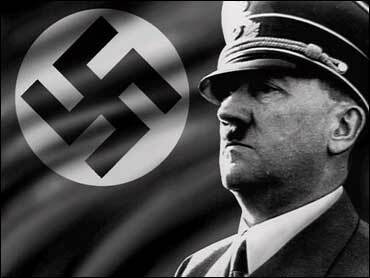 Hitler's mistress, Eva Braun, is believed to have given him the bookmark in 1943. According to U.S. Immigration and Customs Enforcement, it is inscribed with the words, "My Adolf, don't worry," and tells him a recent defeat was "only an inconvenience that will not break your certainty of victory." Agents say Popescu sought $100,000 for the bookmark. He is scheduled to make an initial appearance in federal court Wednesday afternoon.